Your chance to experience a brilliant approach to Acting which is based on real life and is devoid of any – and we mean any – of the old school methods. TUITION: 300 USD (395 AUD) for the entire weekend. Reserve your spot with a deposit of 100 USD and pay the balance by October 10th. 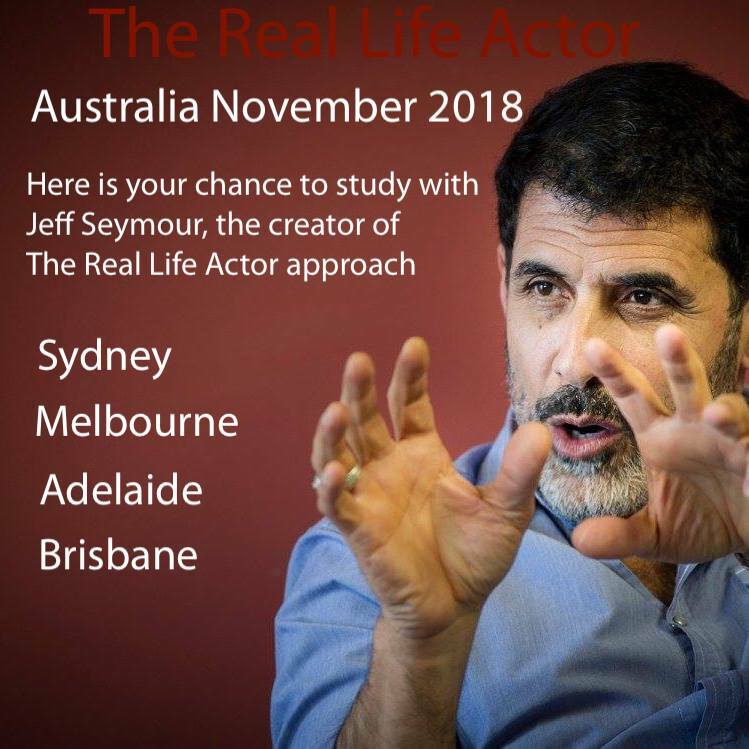 Once you’ve registered please send Jeff an email at jeff@reallifeactor.com. Tell him you’ve registered and let him know the city and dates you plan to attend. You’ll be sent reminders as the date gets closer. An acting approach based on real life that is the most effective you’ll ever experience.